Although we will gladly file a claim on your behalf, you may also request to file the claim yourself. The majority of dental plans reimburse approximately 30-80 percent of treatment costs. With this in mind, we ask co-pays be paid at the time of treatment. If a patient comes to us with a problem such as a biopsy that they expect to be covered by medical insurance and if not covered by the dental insurance, insurance will be pended minus any deductible or co-pay. If an injury case, all information must be provided regarding the history of the injury. If a medical referral is necessary, obtaining the medical referral is the patient’s responsibility. We cannot obtain the referral for you and the referral cannot be obtained retroactively. Injuries are rarely paid by a medical insurance. We are happy to file the insurance if any indication is provided by the medical carrier that payment could be possible. Unless the carrier submits written verification that they will cover any procedures, payment must be made at the time of the visit, and claims will be submitted to have the patient reimbursed. We are currently not a Medicare provider.  Our office is happy to file any dental insurance and pend any confirmed benefits to the carrier. We are currently preferred providers for the following insurance companies: BC/BS of Alabama, Delta Dental, Southland, Cigna and United Concordia.